George S. Brauks was a St Louis-based home mechanic and machinist who built at least nine cars between the years 1898 and 1937. His first effort was a small single-cylinder stanhope the materials for the building of which cost him $250. His most ambitious effort was his final one, the Brauks 8, whose diminutive straight-8 engine was cast, machined and constructed in his home workshop. Brauks was born on March 26, 1869 in Gerald, Franklin County, Missouri to Fritz (b. 1828 in Prussia) and Carolina (b. 1846 in Missouri) Brauks. Siblings included Frederick G. (aka Fritz, b.1858), Lissette (b.1860), Henry (b.1866), Florentina (b.1871), William (b. 1873), Mary (b. 1875), and Edward (b.1877) Brauks. In 1891 Brauks married Lucinda Crawford (b. 1871 – d. 1943) and their union was blessed with the birth of two children, Oliver S. (b. Sep. 16, 1892) and Leslie David (b. March 9, 1897) Brauks. The 1900 St Louis directory lists brothers Edward (fireman), Frederick G. (cook) and George S. (engineer) all employed by Tony Faust’s Oyster House and Restaurant, which for more than four decades was St Louis’ premier restaurant. Adolphus Busch, a close friend of the restaurant’s namesake, had lunch there every day and became in-laws when Anthony E. Faust’s son Edward married Busch’s daughter Anna Louise in 1897. Anthony R. Faust, another son of the founder, took over after his father's retirement in 1902 and managed it until he was declared legally insane in 1911. Mismanagement ensued and Faust’s Oyster House closed forever in 1916, the structure being razed in 1933. "George S. Brauks, S. 510 Elm." "George S. Brauks, engineer, Faust & Sons’ Oyster & RT. Co., r. 510 Elm"
"George S. Brauks, engineer, r. 817 S. 6th"
During that June he and his family were travelling on St. Louis' Delmar Ave. when an equipment failure in an automobile of his own design caused him to collide with an oncoming trolley, causing injury to his wife Lucinda and two sonsOliver S. and Leslie D., who were treated at St. Lukes Hospital. "George S. Brauks, chauffeur, r. 2822 Arlington av." "St. Louis, Mo.—The Lindell Motor and Auto Parts Mfg. Co., under Missouri laws, with $6,000 capital. Corporators — E. B. Campbell, Alfred A. Wagner and George S. Brauks." "Lindell Motor & Auto Parts Manufacturing. Co. (E.B. Campbell, pres; G.S. Brauks, treas. ; A.A. Wagner, sec. ); 3444 Lindell"
"St. Louis, Mo. — The Lindell Auto Sales Agency and Repair Co. has taken a lease of the building at 3444 Lindell boulevard, where a general repair business will be conducted, where a general repair business will be conducted. The company is the agent for the Ford car, with A Groebel, manager." "George S. Brauks, auto, r.2822 Arlington av." "George S. Brauks, machinist, r.2846 Arlington av." 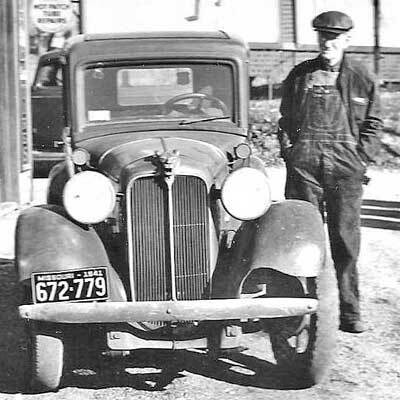 "Since 1898 Mr. George S. Brauks had up to December, 1927, built in his spare time, seven horseless vehicles, every one of them being up-to-date in style at the time they were being made. Therefore, the last one, which he is using at present, is as modern as any other automobile in its class. "The first one was a two-passenger horseless buggy, built in the engine room of Tony Faust's famous restaurant and beer garden in 1898. The body was of Stanhope pattern with leather dash, wooden wheels, and solid rubber tires; single-cylinder gasoline engine with chain drive. Working three hours every night, it took five months to build. 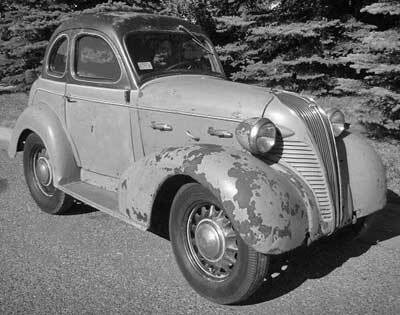 The whole vehicle, excepting the castings and wheels, were of his own making. Cost of material $250.00. Own labor at 50c per hour, $219.00. Not so bad for nearly all hand labor. 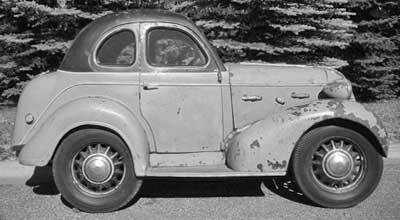 "This car had pneumatic tires and a wheel steering device. 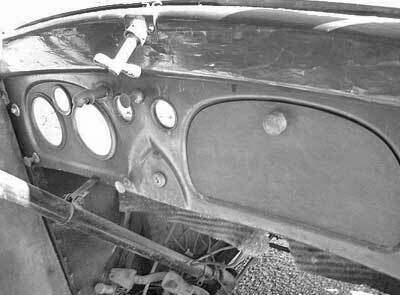 The previous vehicles had lever steer. Next he built a fourth car, in 1904. 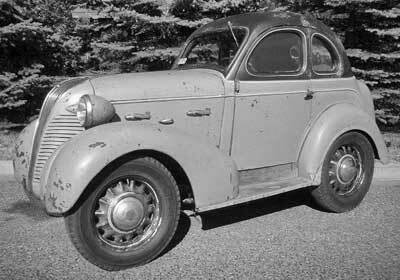 This had a four-cylinder gas motor, eight-passenger, double tonneau body. "In 1907 he completed his fifth machine, which was a five-passenger touring car, and bevel gear drive in place of chains. It is self-evident that every time he completed a car, he knew how to build the next one better. In 1910 he built a very neat touring car with symmetrical lines, including large metal fenders and extension top. 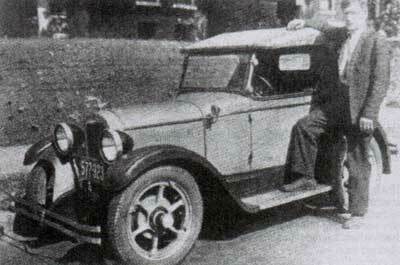 This car was kept for years, and in 1927 he built his last car, a classy roadster with top, which he is using at present. A street car collided with the third car, on Delmar Avenue, near St. Lukes Hospital, and wrecked it. "Mr. Brauks traded the fourth car in on a two-story residence, in which he resides at present, paying a cash balance. The other cars were sold." 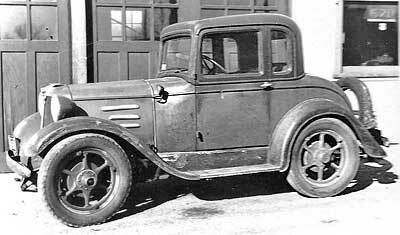 His seventh car, which closely resembled a 1927 Chevrolet Roadster with a European grill and radiator shell, was powered by Whippet 4-cylinder engine that transferred power to the rear wheels via part sourced from a Ford Model A. 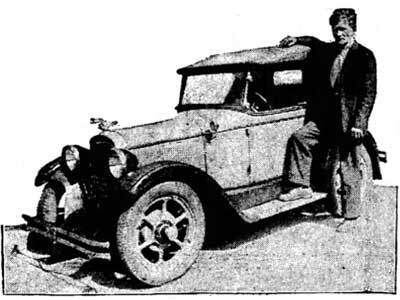 The car, which Brauks claimed cost only $185 to build, utilized the front suspension of a Duesenberg Model A and didn’t have any front brakes as Brauks considered the big rear drums of the Model A to be more than adequate to stop such a small vehicle. 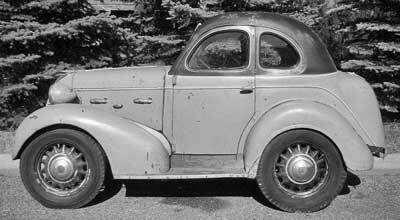 Its wheelbase was 86 inches, its tread 46, and Brauks claimed it was good for 60 mph and averaged 35 mpg. And it had only cost George Brauks $185 to build. 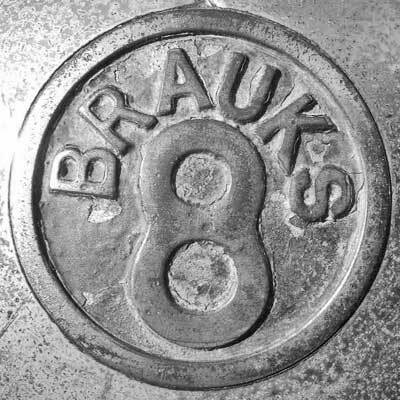 Some of Brauks later cars were eventually sold to third parties – one of them even ended up in a Missouri museum where it was subsequently destroyed in a fire. 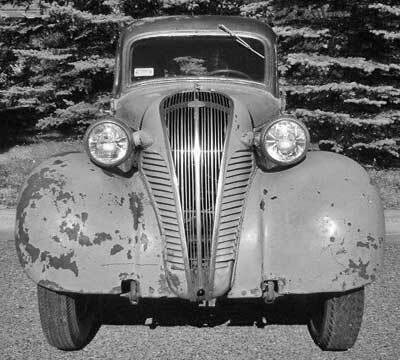 Brauks eighth automobile was constructed in 1934 and appears to be an updated version of the faux Chevrolet roadster, albeit with an all-new enclosed body. The fenders and front and rear wheels, tire and hubs appears to be identical - however a modern angled grill and radiator housing has been substituted - topped off by an attractive jaguar's-head mascot. 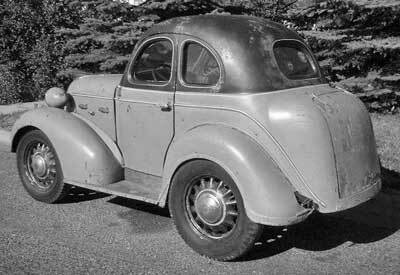 His ninth and final creation was the Brauks 8, a five-window coupe constructed in the late thrities using the front end sheet metal (grill, fenders, hood and cowl) of a 1937 Hudson Terraplane 2-door coupe mated to the body of a 1936 DeSoto 4-door trunk back sedan. The front door was drastically shortened and the rear doors removed entirely. The resulting automobile was narrowed lengthwise along its centerline to create better proportions for the finished car. Brauks designed his own 115 cu. in. 65-hp L-head straight-8 engine that included a dual 90 degree offset crankshaft and custom intake and exhaust manifolds fabricated from welded tubing. The one-off cast-iron block is just as diminutive as the rest of the car, being an astonishing 22” from front to back, all of which was cast by Brauks in his home foundry. The car used a 3-speed transmission driving the rear wheels and the car’s unique GM-sourced wheels featured “Brauks 8” hubcaps cast in his home workshop. 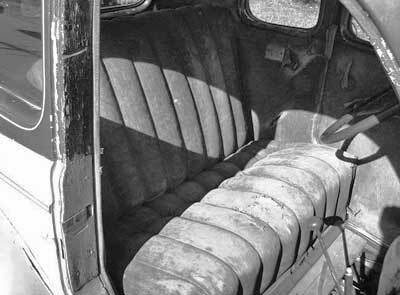 The narrowed seats were covered with brown mohair and the narrowed dash was supplied by the Terraplane donor. When completed the 75” wheelbase automobile measured 124” long, 56” wide and 65” tall. Brauks passed away in St Louis, Missouri on June 9, 1955 at the age of 86. Much to my surprise I discovered that the circa 1937 Brauks 8 survives. While perusing e-Bay about one decade ago I noticed the car was for sale, and it currently resides in the inventory of Desert Classics in Butte, Montana and is available for $70,000. Wouldn’t Brauks be surprised!